An all-around Shorts for Trails and More. 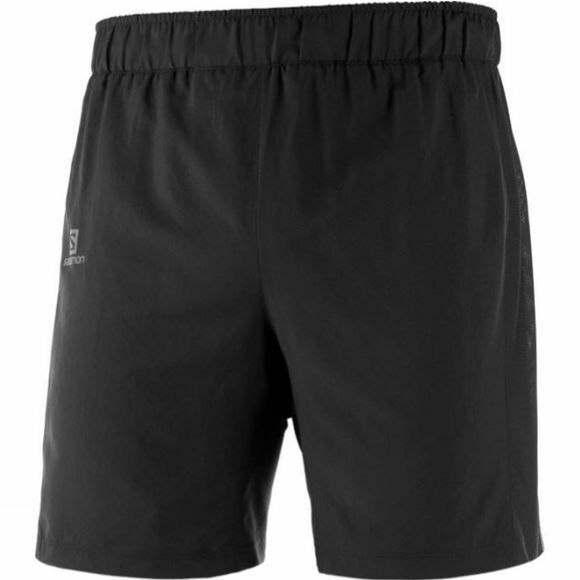 Feel great on a long trail run, at the gym or for any highly output activity with the agile 2 in 1 shorts for men. The longer 8" inseam gives this shorts a versatile look and more coverage, which means it transitions easily from trail to town. Store your keys, wallet and phone in the side pocket and head out to enjoy. Active Comfort - Great feel against the skin and no constriction of movement. Quick Drying - Built with ultra light fabrics, both the inner and outer shorts dry very quickly.